Day 1: Arrival to Marrakech. Transfer to the Hotel Riad Omar which is located in the heart of Medina, just 300m from the famous Jamaa el Fna. For dinner, we will select a local restaurant where you may have your first experience of Moroccan cuisine. Why not try a delicious tajine and round off your meal with mint tea or arabic coffee? Day 2: Scenic transfer to Dades Valley. We leave our guest house after breakfast and beginning our scenic transfer by minibus to our trekking destination, the Dades Valley. Firstly, we will cross the spectacular Tizi n’Tichka Pass of the High Atlas mountains. We will venture through many Berber villages, heading into the desert, where you can admire riverside oasis and barren hillsides clustered with Kasbahs. After lunch, we travel further into the Valley of the Roses, with stunning views of the Dades valley. 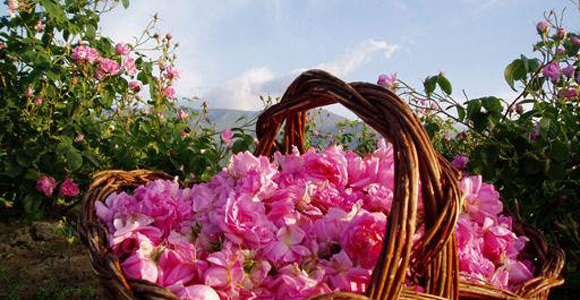 This is in the heart of rose growing country. 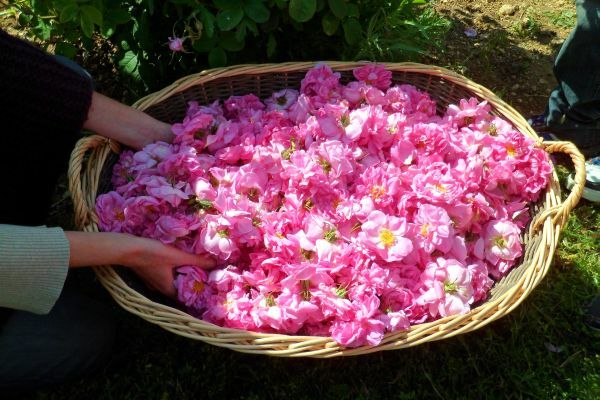 Damask roses were first planted by French settlers, and are harvested to produce an essential oil, used in « Eau de Rose ». 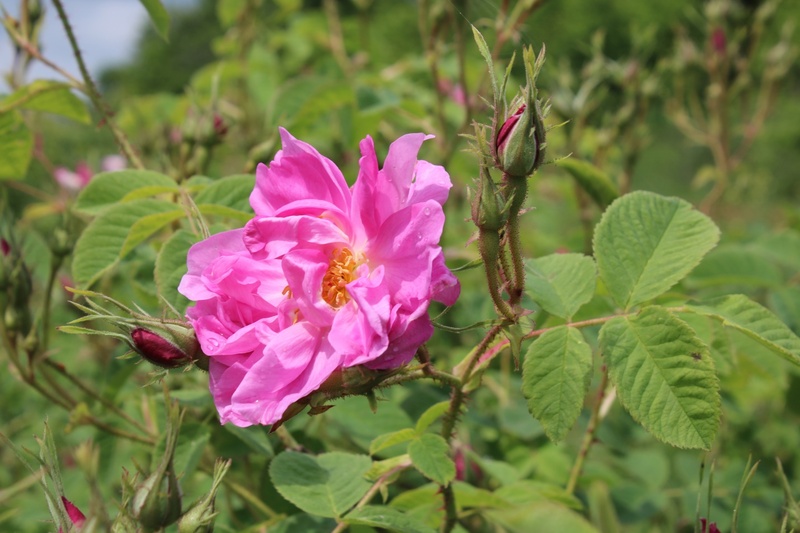 See the roses at their best in May. Overnight accommodation at a gite in Ait Youl. A gite is a village house providing simple dormitory accommodation, for up 6-8 people. It will be furnished in a traditional Berber style with low couches (beds), tables, carpets and cushions. A shower is usually available, and if you are lucky it may be hot! Day 3: Ait Youl – Ait M’Rao. Day 4: Ait M’Rao – Alamdoune. After breakfast we’ll leave our gite and will have the fun task of crossing the river. It will be a unique opportunity to refresh ourselves for the rest of the day. The landscape becomes filled with imposing high ridges and summits along the route and in the afternoon you will be surprised by the lush green vegetation that surround the village of Alamdoune. Day 5: Alamdoune – Amajgague – Alamdoune. gorges typical of this area. After passing through some picturesque Berber villages, we’ll enter into the world of the red rocks. The views are breathtaking and with the mid day heat, you can try cooling off in one of the refreshing small waterfalls dotted around the gorge. Overnight in the same gite in Alamdoune. Day 6: Alamdoune – Boutaghrar. On our last trekking day, we’ll enjoy traversing another wonderful gorge. Further along, the valley flattens out and you will see settlements along the riverbanks where the Berbers are able to cultivate the land. The next challenge will be reaching the other side of the river! A successful crossing means we have reached the village of Boutaghrar. Overnight in gite. Day 7: After a final breakfast at the gite, we will meet up with our driver for the return journey to Marrakech. We will follow the same route traversing the Atlas Mountains (over the Tichka Pass). 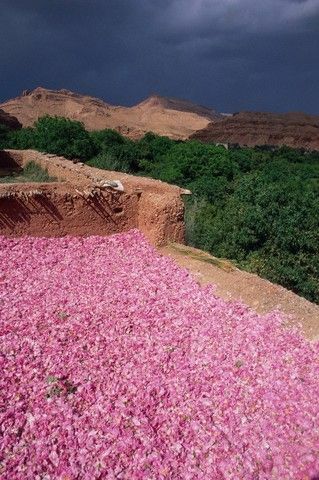 We will take a short break in Ouarzazate, where you will have the chance to visit a kasbah. Later we will drop by a store belonging to an Argan Cooperative. Here, you will can browse the displays of sought after Argan Oil products, valued for their health and skin enhancing properties. In the evening, we will reach Marrakech, just in time for dinner. Accommodation for the next two nights is provided at the Riad in Marrakech. 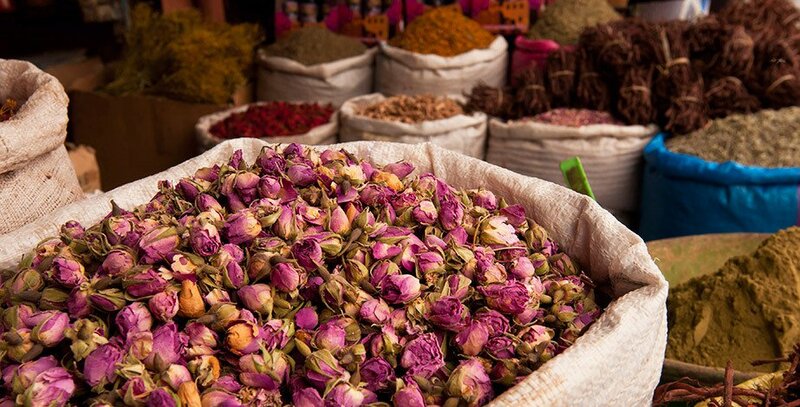 Day 8: Today we’ll explore the ‘Red Town’ of Marrakech and we’ll visit the famous Jamaa el Fna square. At the Souk, a traditional market you can practice your negotiation skills with the local traders and grab yourself a bargain like typical Moroccan pointed slippers called ‘babouche’. We’ll admire the incredible architecture of Koutubya mosque and we’ll enjoy the shade of the trees and tranquility of the Majorelle garden. Day 9: After breakfast, you may have the opportunity to squeeze in another shopping trip before checking out of the Riad. Transfer by minibus to Menara International Airport for the flight back to your home country.